Hell yeah! The producer that I’ve always seen as the craziest in electronic music is back on Antizer0 label with a new album entitled « A-Zone Telemetry ». Best known by the underground scene for his prolific work under his moniker HEADNOAKS, DEPUTY-78 is a very unique artist disturbing all the stereotypes about the too academic ElectroTechno productions coming from Germany. 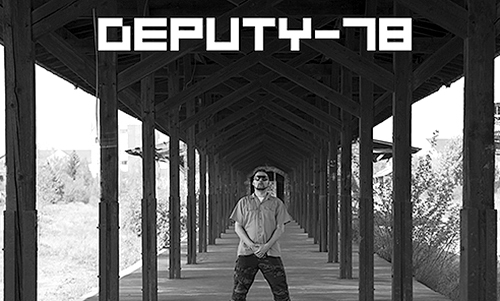 A new project signed by that fella is always a surprise, indeed DEPUTY-78 is one of those rare producers to explore each time some new unsecured areas with a real futuristic approach. In a way, his productions can be judged as not really well-structured musically; however it seems that “missing” part give him a more deep experimental production with no boundaries. I mean DEPUTY-78 takes more risks in his music than the most kind of established musicians. So, the new DEPUTY-78’s advanced album « A-Zone Telemetry » is a post-dystopia creation in its finest abstract form, full of tensions provided by the Hi-Tek sounds along with some reminiscence of DUB music captivating your thoughts. That U.F.O worth all the attention of the audience who take cares to the no non-sense music. Highly Recommended!